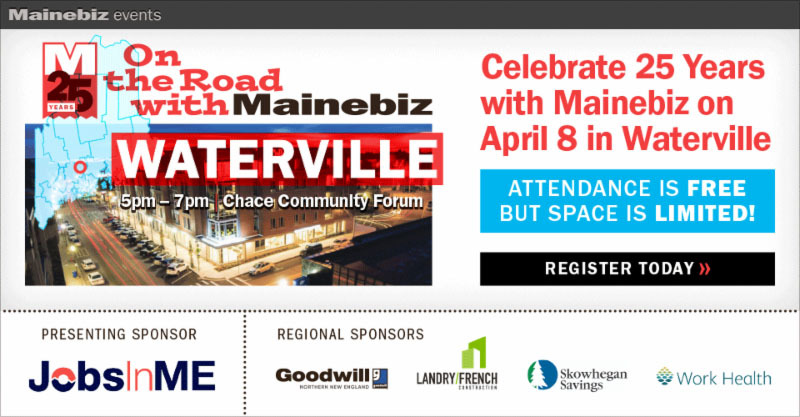 Join us at our second stop in the 2019 On the Road with Mainebiz event series at the Chace Community Forum on Main Street in Waterville! Attendance is free but space is limited so please be sure to register ahead. Enjoy hors-d'oeuvres and a cash bar while networking with business executives in the area. Be sure to bring business cards to hand out to new connections that you make.